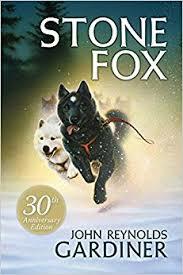 Stone Fox’s Ending- Happy or Sad? Stone Fox has a pretty emotional ending. Some people argue that it is a happy ending. He gets to save the farm! But some people argue that it not a happy ending. What do you think? Is it a sad or happy ending? Evidence from the text to support your thought.